Easter weekend was a blast and I was so bummed it had to come to an end. In our previous two posts, I shared our kayaking and then hiking adventures. What I didn’t share was a our egg dying and Easter photo adventures. Let’s start with egg dying. 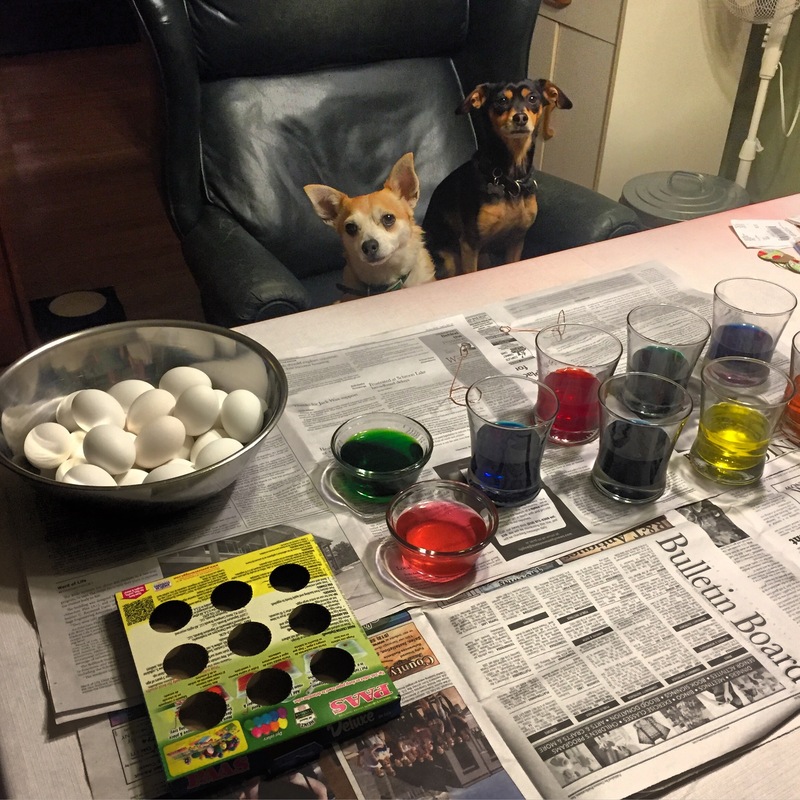 Who doesn’t love to dye eggs? I don’t care how old you are, it’s so much fun! 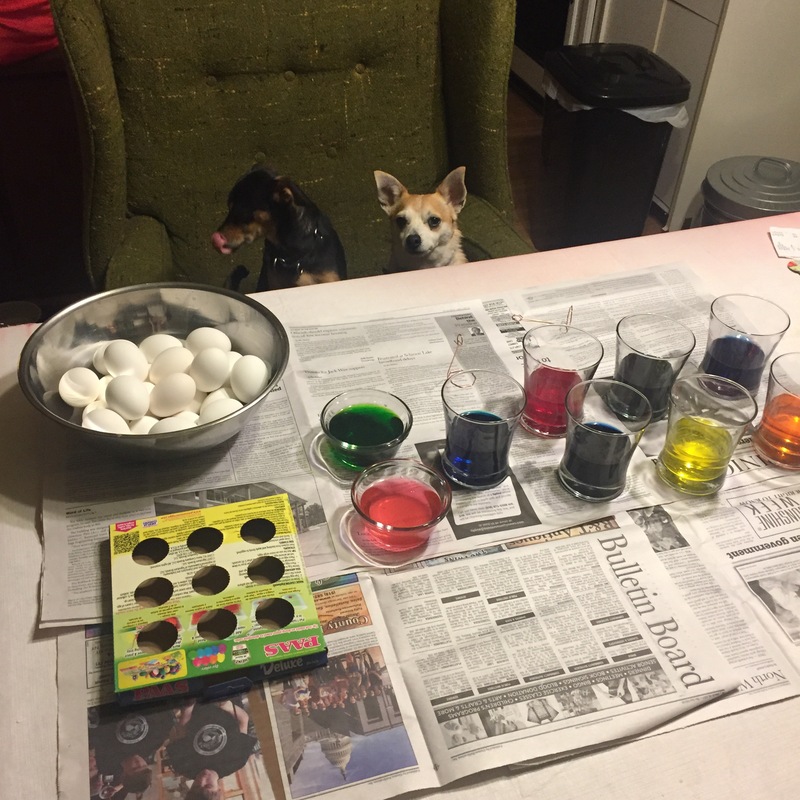 Of course I had to try to get a photo of the dogs dying the eggs. I wasn’t sure if it would work, but it did. I really thought Toby was going to dive right into the bowl of eggs, but he didn’t. 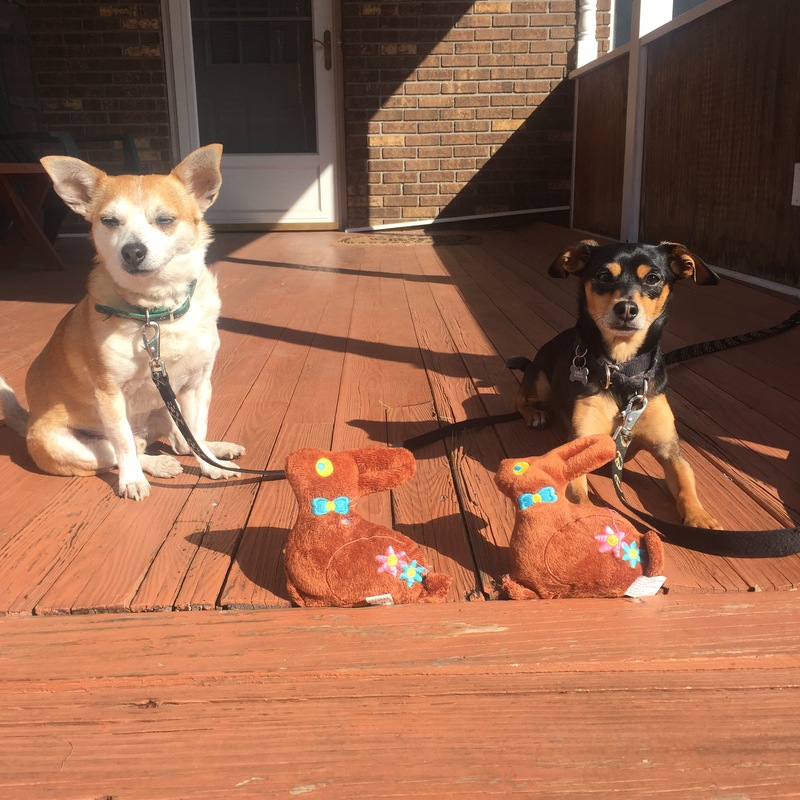 I say this all the time, and will continue to say it, you don’t do obedience training to win titles, it is so that you can take tons of cute photos. It’s why the command, “leave it,” is so important. 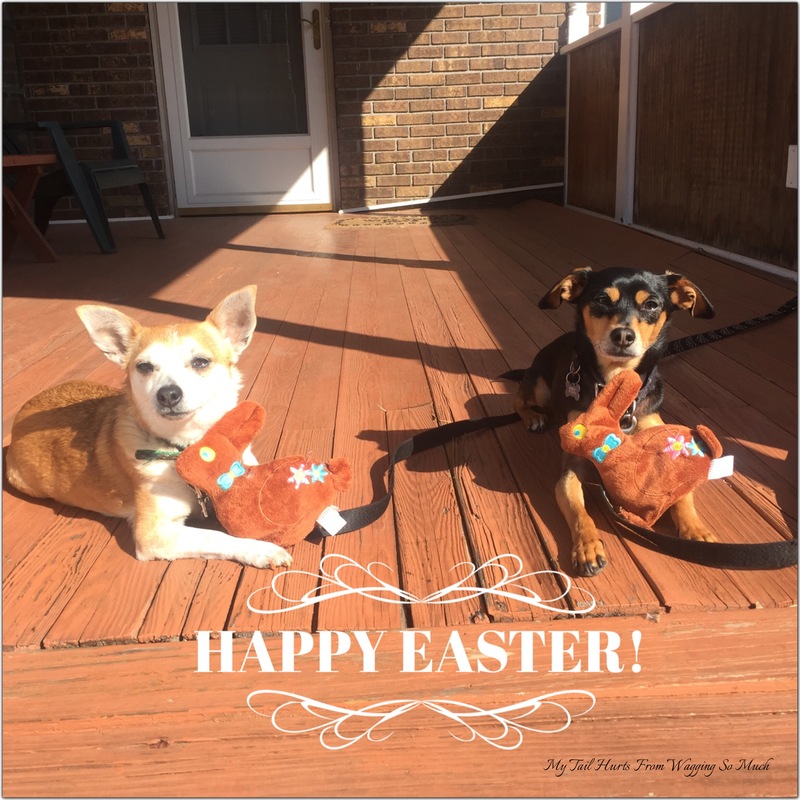 While I am joking, it certainly did come in handy when I was trying to take photos of Toby and Maddux with their Easter bunnies. This was the first set of shots I took. I wedged the plush bunnies between the grooves of my deck. Then, I was watching Maddux and wondered if he would let me put it against him. Well, he did. And, looked adorable might I add. While I was doing that, Toby decided to lie down. 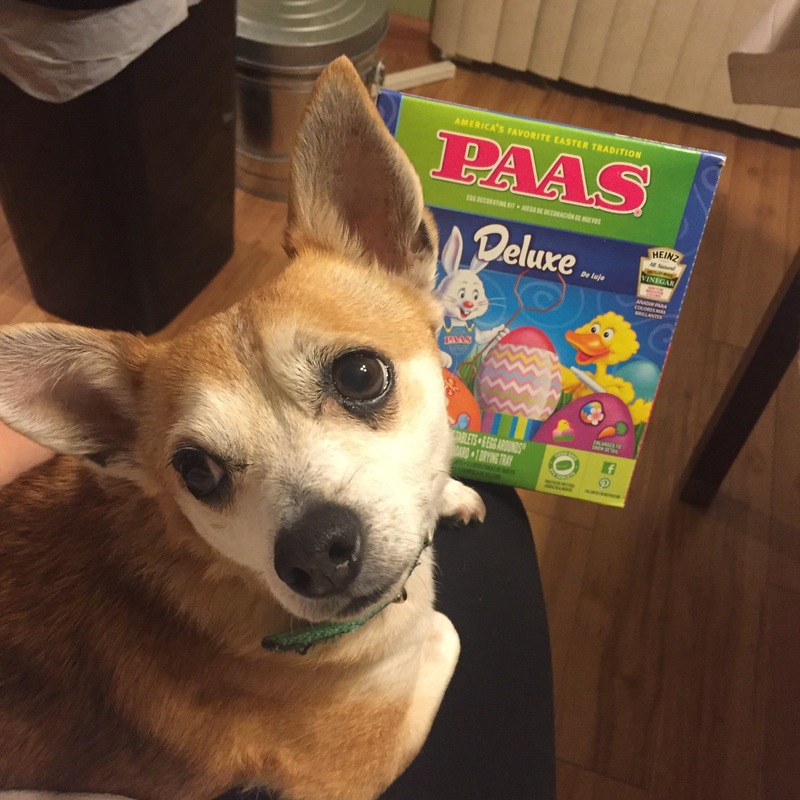 I thought to myself, “why not push my luck.” So I placed the other bunny on Toby’s paws, and while he started to fuss, he eventually left it alone. 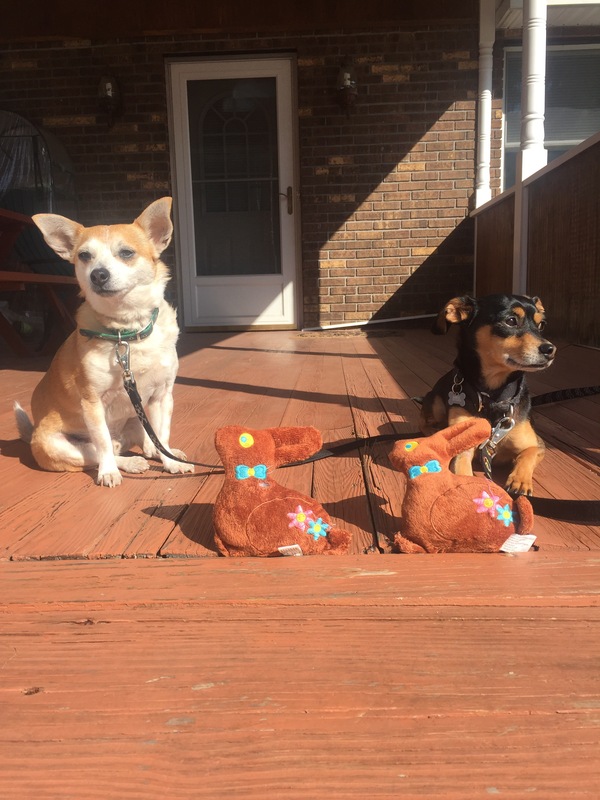 I quickly snapped as many photos as I could, and finally settled on this for our Easter photo. I was beyond happy how it came out. Of course there were a few outakes, which I’m sharing below. I feel like as soon as Toby saw the box come out, he knew there was going to be a photo involved! Wait it tomorrow’s post on our bike riding. There are some very funny dog expressions in that post! Hope you all had as fun an Easter as we did! 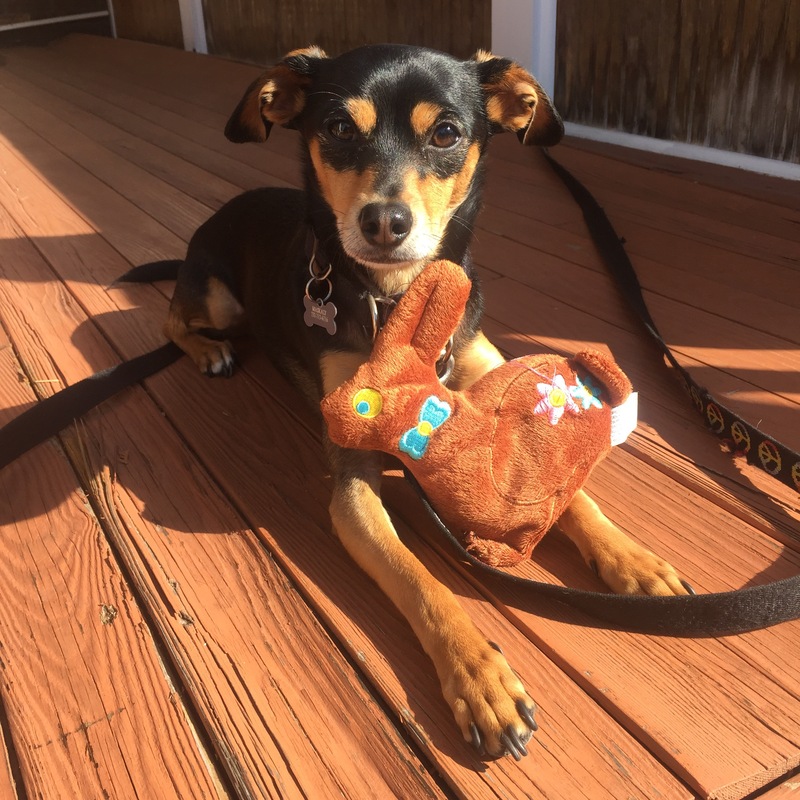 Maddux is not usually possessive over his toys, however this bunny, he loves. 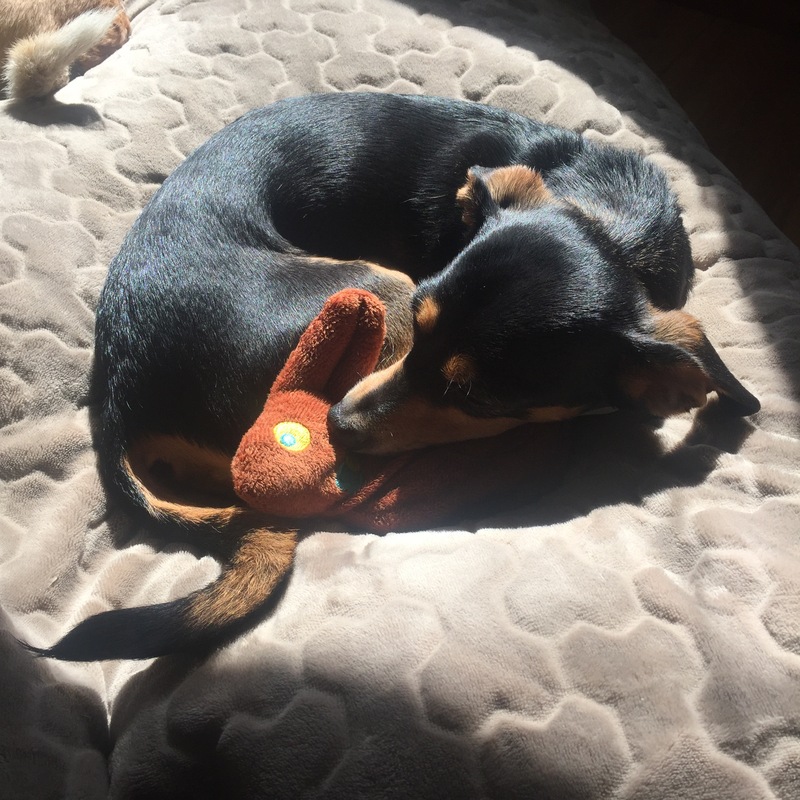 The first year I gave it to him, he carried it around and slept with it. He never growls at Toby for a toy. This time, as soon as Toby came near him, Maddux let him know it was his. I quickly put an end to that. But, I didn’t stage this photo at all. I found Maddux sleeping like this after breakfast. How cute! ?